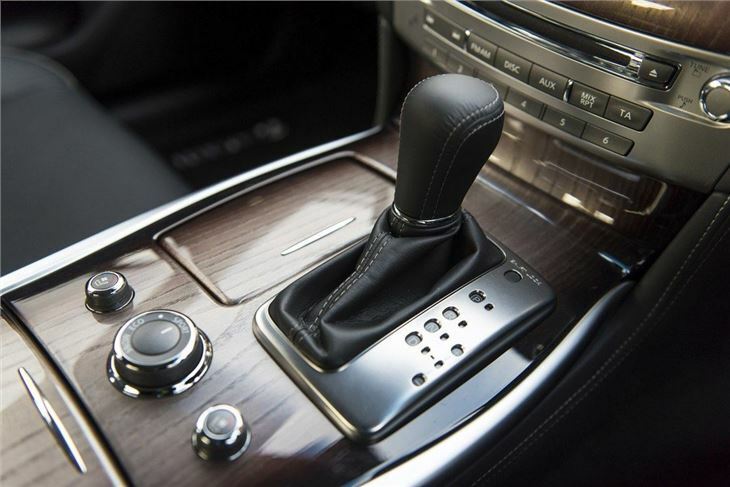 Delivers superb refinement and luxury. Available with 3.0-litre V6 diesel. High-quality interior. Impressive level of standard equipment. Hybrid version followed in 2011. Infiniti not recognisable as a premium brands. Petrol engine thirsty. 2.2 Diesel engine noisy. Soft in corners. 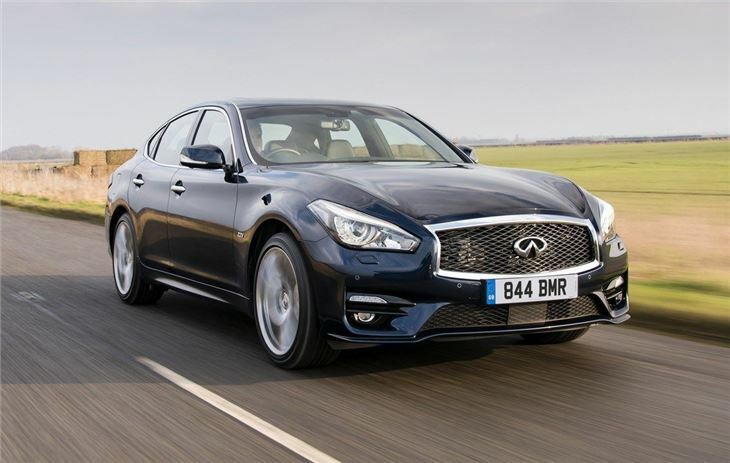 The Q70 is Infiniti's executive saloon and a rival to the likes of the stylish Jaguar XF and the mightily impressive BMW 5 Series. In fact in terms of looks it's probably closest to the BMW with its smooth shape and imposing front end helping it to stand out. And it certainly needs to get noticed. 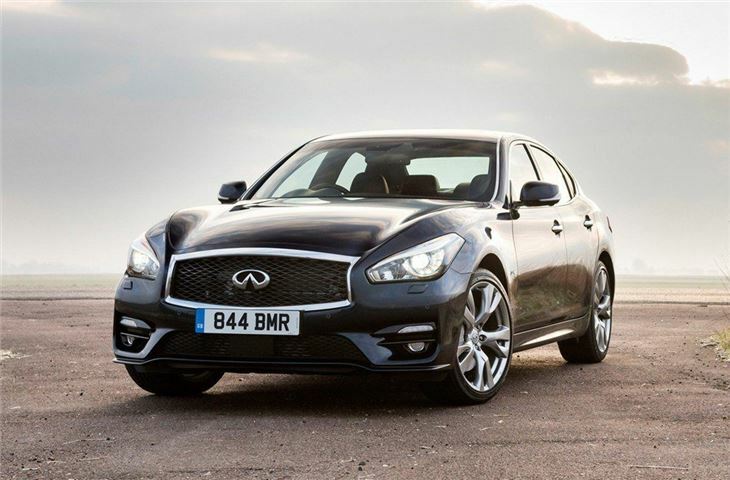 The big problem facing Infiniti is regnition of the brand in a market where most people are familiar with the established names including the big German three. Originally called the M, it was renamed Q70 in 2013, but that's unlikely to help it make an impact. Which is a shame as it has the qualities to make a name for itself. 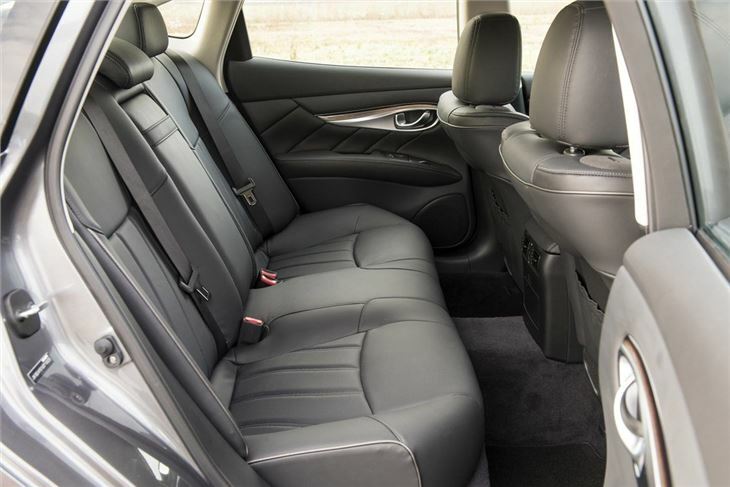 The Q70 is not only stylish, it's incredibly well built, very refined and comfortable, plus it's available with a new diesel engine - something Infiniti has up until now conspicuously lacked. It's this new 3.0-litre V6 engine producing 238bhp and 550Nm of torque - that will make up the majority of sales in the UK. It's impressive in the Q70, providing effortless acceleration with low noise levels and decent economy too - although it's not quite a match for the BMW 530d or the Mercedes-Benz E350 CDI when it comes to efficiency with a claimed average economy figure of 37.7mpg and CO2 emissions of 199g/km. 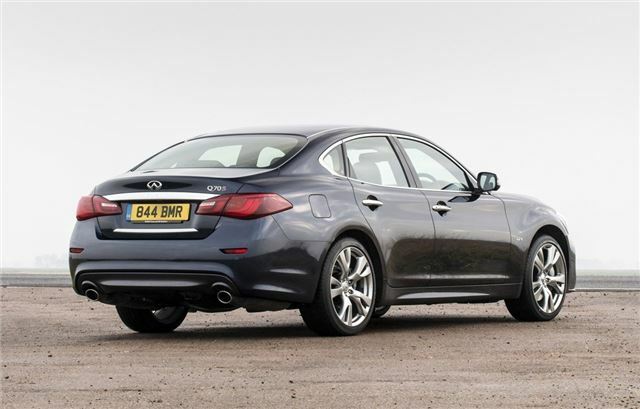 There is also a petrol engine in the line-up which uses the same 3.7-litre V6 unit with 320bhp that's used across the Infiniti range (and can also be found in the Nissan 370Z albeit with slightly more power). But the most intriguing model is the Q70 3.5H hybrid. 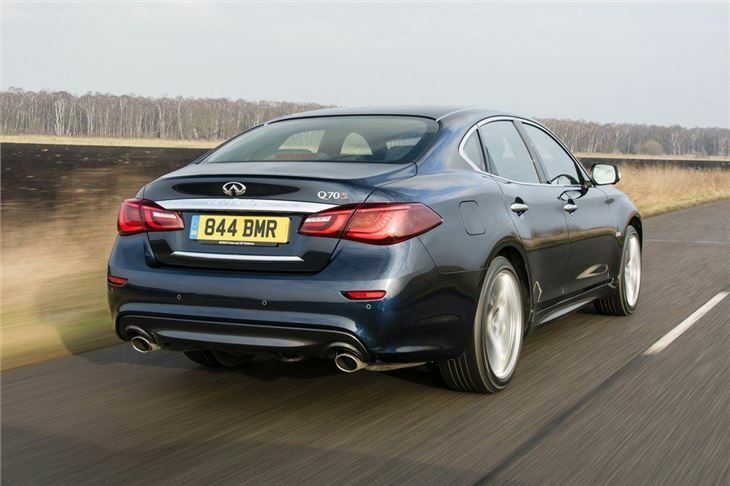 This uses Infiniti's Direct Response Hybrid technology and is able to cruise to 50mph on electric power alone, combining a 306bhp 3.5-litre V6 engine with a 68bhp electric motor with CO2 emissions of less than 170g/km. On the road the Q is very smooth and refined, making it great for covering long distances effortlessly. 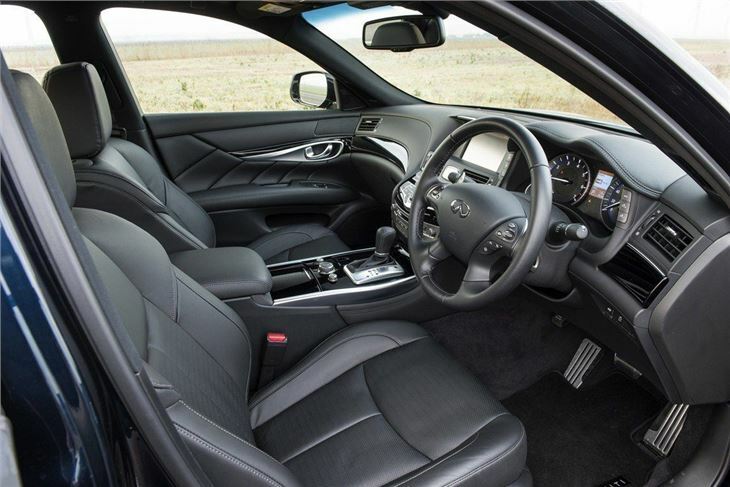 Standard GT models can feel a little soft in corners, but S and S Premium models come with the impressive 4-Wheel Active Steer system and sports suspension, which results in much sharper and composed handling, making the Q70 feel like the 'sports saloon' it should.